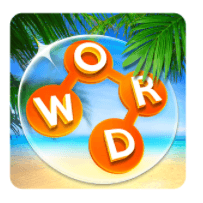 We will go today straight to show you all the answers of Wordscapes Level 4336 Flower 16. In fact our team did a great job to solve it and give all the stuff full of answers and even bonus words if available. This is what we are devoted to do aiming to help players that stuck in a game. This Handfull topic will give the data to boost you without problem to the next challenge. We already know that this game released by Peoplefun is liked by many players but is in some steps hard to solve. Need a support for the next level ? : Wordscapes Level 4337 Flower 17 Answers . In word collect game, for letters EMBICAL, WHAT ARE THE 5 LETTER WORDS .. I’VE USED;AMBLE,AMICE,BLAME,CABLE,CAMEL,CLIMB EMAIL, LIMBA,MACKE,MAIKE,MALUC,AND MELIC.